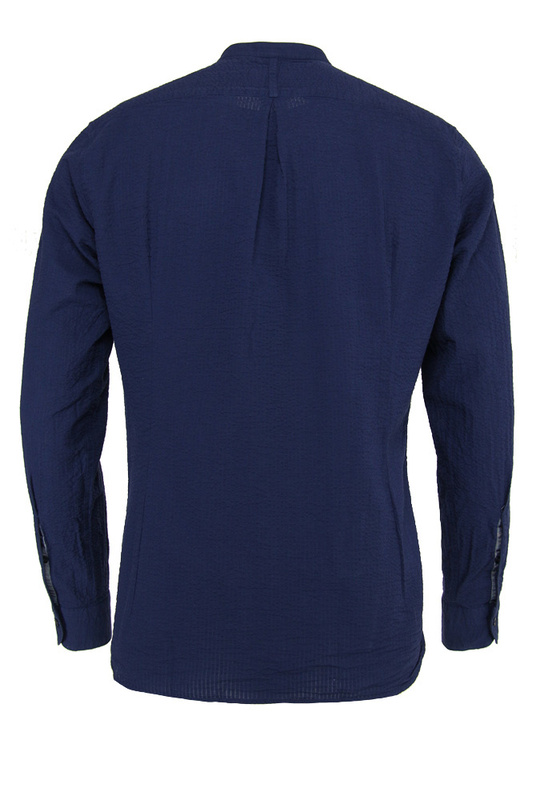 Navy shirt from the Italian brand Tintoria Mattei. 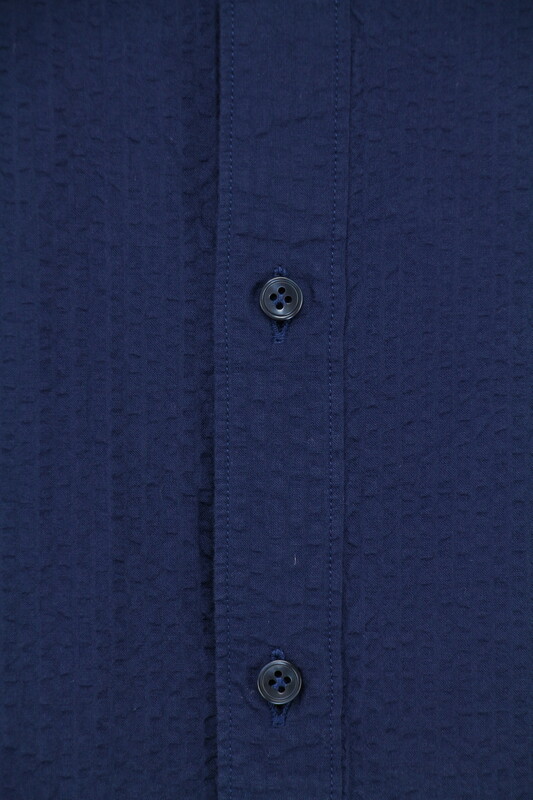 The shirt is made with a crepe / creased fabric. 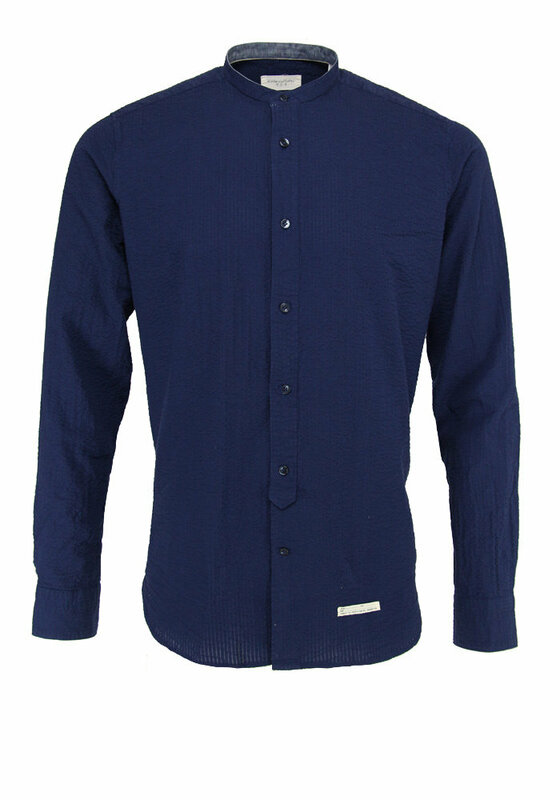 For those looking for a casual shirt, this one from Tintoria Mattei is perfect. 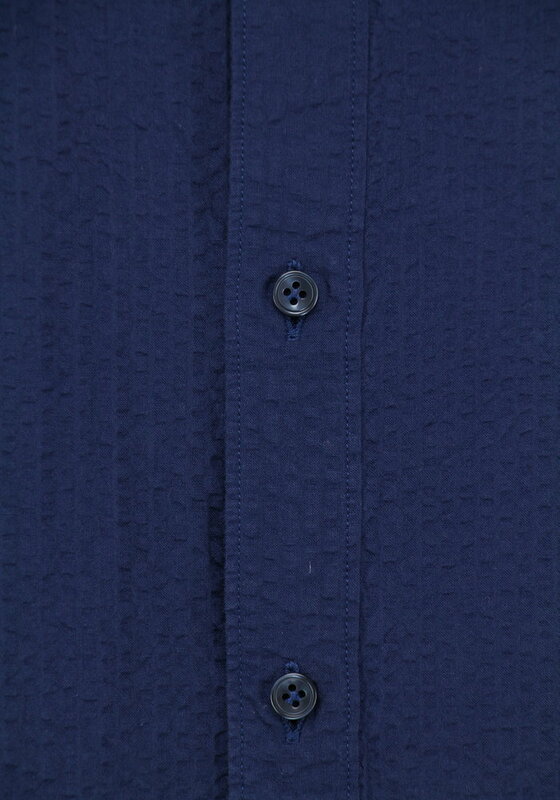 The fabric has a unique crinkled fabric and an iconic mao collar.